The main difference between storage auction experts and the average joe with a little spending money in his pocket is a plan. The real storage gurus don’t wake up the morning of an auction and start fiddling around on the computer trying to remember where the sale is being held or trying to print driving directions off of google maps – instead they just grab their prepared folder on the way out the door, which has all of the auctions’ information in order and printed out already. When it comes to the items you win at a storage auction, it’s not about bidding on whatever you can win and then trying to stuff all your spoils into several carloads. It’s simply a matter of methodically loading everything into your truck or trailer and heading home to begin processing the resales – auction gurus have everything lined up and are thinking ahead in terms of the entire process, from the moment they leave their home to go to an auction, to the final moment when they’ve resold everything they won from their storage shed. It’s not difficult to make a plan or to be totally prepared for the auction process. It simply takes an understanding of the steps involved in a public self storage auction, both on the buyer’s side and the storage company’s side. 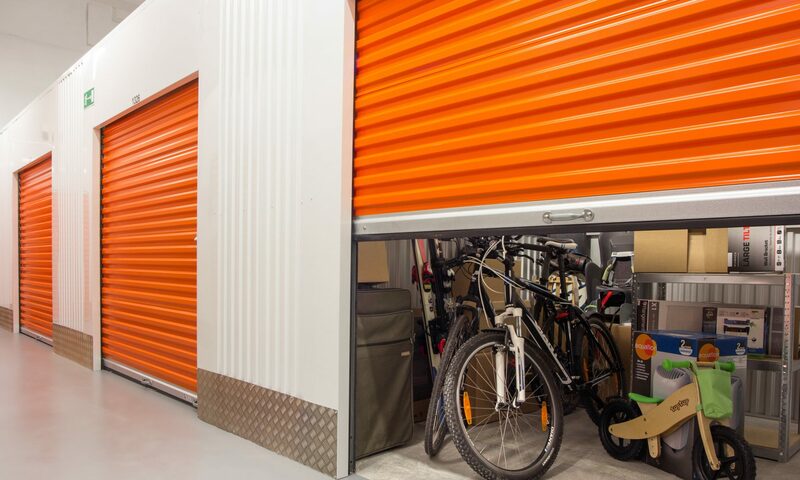 Even if you’ve never attended a public storage locker sale before, you can get a thorough understanding of the process just by reading on this site. When you’re planning for an upcoming auction, make sure you’ve accounted for everything, from the location of the self storage facility to the security and cleaning deposit you might have to have in cash, to the return trip and the accommodations you’ll need to handle what could be a garage’s worth of new stuff. Unfortunately this one you can’t learn overnight or simply by reading this site, but it does separate the real auction buying gurus from the average Joe. The more you attend storage auctions and buy up repossessed lockers, the more you will begin to develop a special “sense” that will let you know which units are likely to be worthwhile and which ones are just packed full of useless junk. Keeping your eyes peeled and your flashlight ready sometimes isn’t enough. Some of the biggest winners here have told me that they do their initial check once the storage door rolls up on a unit for sale, but after a certain point it’s their gut that leads. For Bill, who made $1,200 profit off a single unit a few months back (you can read about him in our Big Scores section) this sense came to him right after he saw two wormdrive saws propped up in the corner of the unit he paid $350 for. He knew right there he could at least make his money back from these two tools alone, and no one else in the buyer’s circle seemed to have honed in on these valuable power tools. That’s when Bill pushed the bid higher than anyone else was willing to follow, and sealed his possession of the unit.